Alpine or Downhill (DH) adventure, anyone? Why not with some of Europe’s finest alpine and downhill trails and bike parks a mere low cost flight away it would be silly never to experience them. Over the years they have become increasingly popular, so why an alpine/DH prep course, what’s it going to offer me as a rider when we haven’t got the scale of mountains to practice on? MTB Instruction say if you’re confident on your bike with a healthy portfolio of bike handling skills then its game on, but if you want to feel confident enough to enable you to ride in the Alps/DH mountainous trails you don’t need thousands of meters of elevation to add that skill set to your ride portfolio and make you a more accomplished rider. 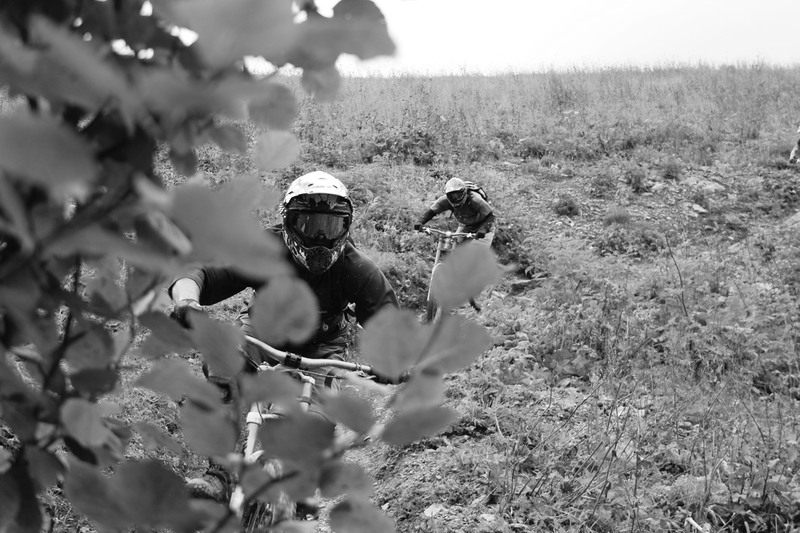 We feel our advanced skills coaching will give you the technical know-how on the bike to ride anywhere in the world let alone some of UK’s & Europe’s finest mountain ranges and DH courses. With an enhanced skill portfolio everything is there for you to ride the dream. Clients always say “You make it look easy” that comes from time on the bike 28 years plus, XC racing, DH racing, enduro racing and the odd bit of free-ride and urban riding so if we can help you enhance your riding to its full potential utilizing our experience then it’s got to be a good thing. Testament to this is the feedback we get, and riders returning not only for more technical coaching enhancements but joining us on our many global adventures. There are a lot of sensations & feel within mountain biking and when they are all in sync with your skill set you flow is enhanced and your enjoyment out on the trails is too, feeling fluid with flow = speed! “Speed is your friend” after all! So adding trail techniques into your ride like pumping, pre-jumping, drift, manuals, riding light, risk assessment, line choice, gaps, table tops, drop off’s, being loose on your bike, slow in – fast out, will enhance your ride portfolio. So if this is for you, then come and join us out on the trails for some exhilarating trail sessions and go ride those mountains & DH courses!